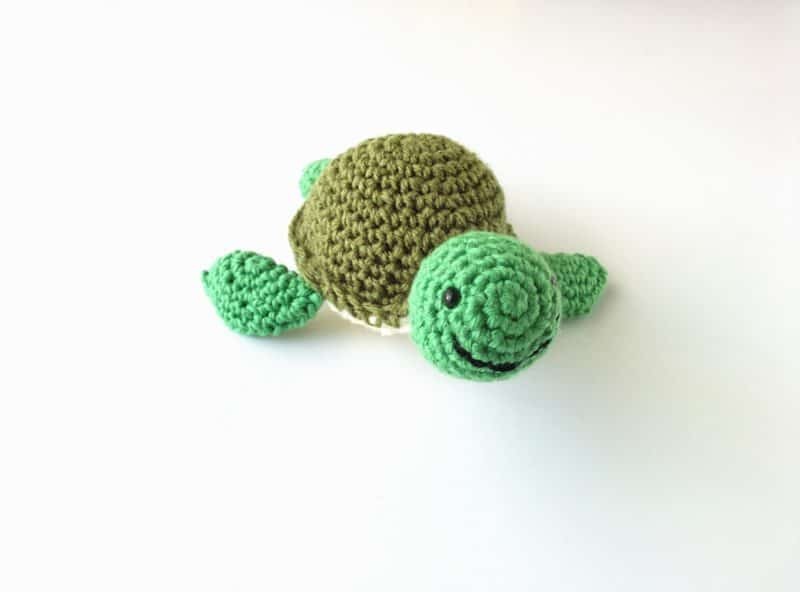 My nephew has been asking me for MONTHS to make him a crochet turtle. This is the same nephew who asked for all the pokemon, so I just put it out of my mind while I worked on other things. 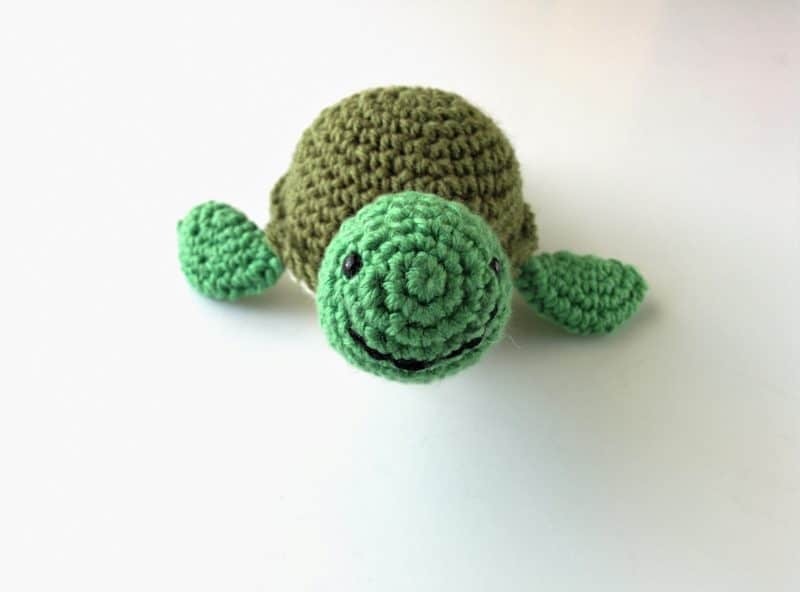 A couple weeks ago, I gave in and made him a cute little crochet amigurumi turtle and shared some pictures on Instagram. So many people requested a pattern for Shelby, so here it is! This little guy is really easy to make. He’s mostly just circles so it’s a great pattern for beginners. I used a magic loop to start all of my pieces because the starting circle is much neater than using a chain. 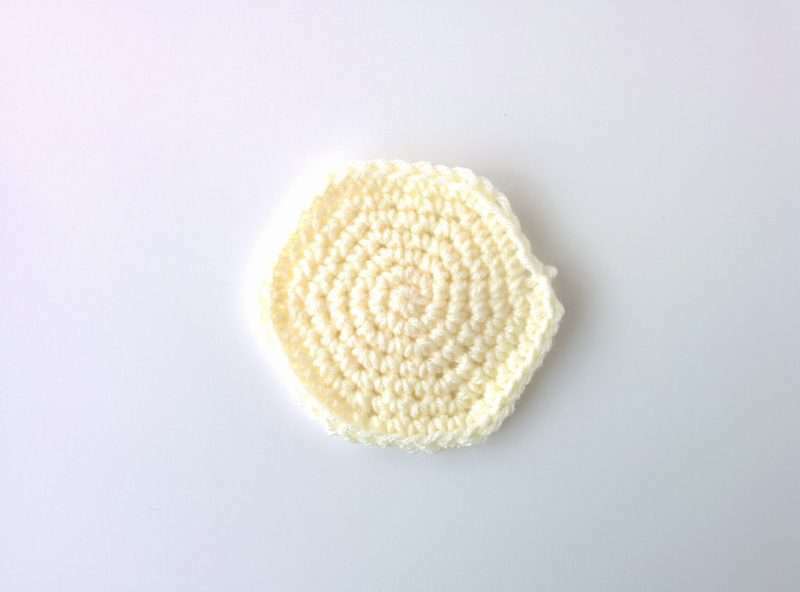 If you’re used to starting with a chain and slip stitching to form a ring, I highly suggest you learn the magic loop method. There will be no gap at the starting point and the finish is cleaner. I have a tutorial on the magic loop right here if you need a refresher. 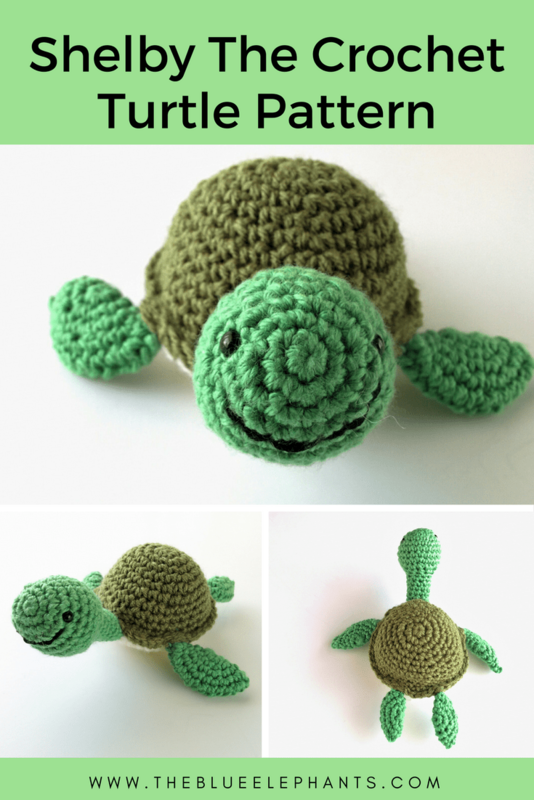 This crochet amigurumi turtle was so fun to make, but the best part was actually giving it to my nephew and seeing his reaction. He is honestly the best person to make things for! He gets so excited and he actually plays with the things I make. 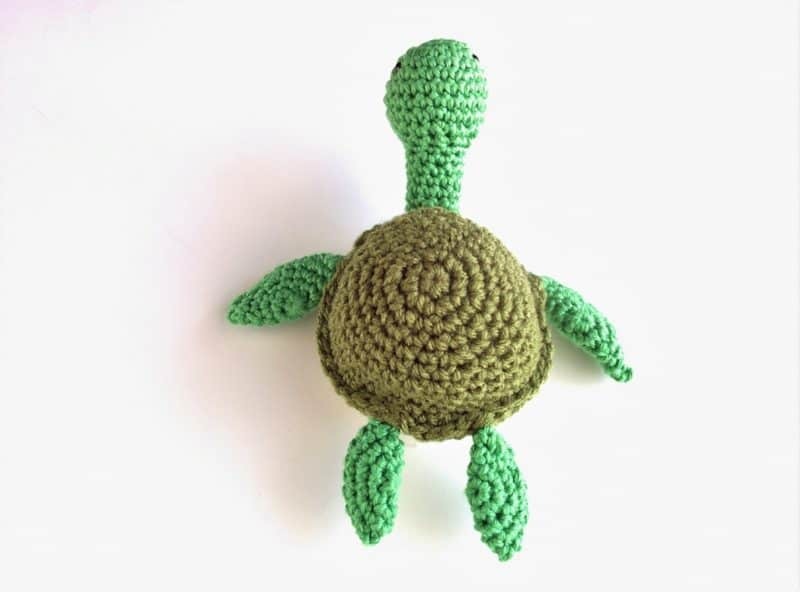 His family had just come back from a trip to Malaysia when I gave him this turtle and spent the rest of the day telling me about how they saw turtles hatching and going back to the sea on their trip. That must have been so cute! 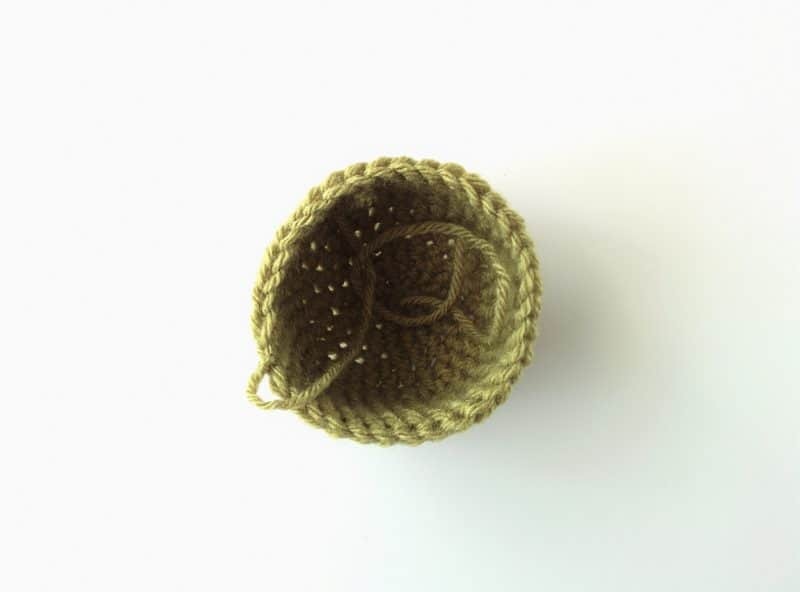 Round 1: Start by creating a magic loop with the dark green and a 5.00mm hook. Work 6 SC into the magic loop and mark the first space with a stitch marker (6 stitches). Round 3: *SC 1, and increase in the next* all the way around (18). Round 4: SC around for 1 round (18). Round 5: *SC 2, and increase in the next* all the way around (24). Round 6: *SC 3, and increase in the next* all the way around (30). Round 7: *SC 4, and increase in the next* all the way around (36). Rounds 8-11: SC around for 4 rounds, then bind off leaving a long tail. Like most crochet amigurumi patterns, this looks better with tight stitches so you can’t see the stuffing inside. Keep your tension tight, but if you can still see the stuffing, move down a hook size. Round 1: With cream yarn and 5.00mm hook, work 6 SC into a magic loop and mark the first space with a stitch marker (6 stitches). Round 4: *SC 2, and increase in the next* all the way around (24). Round 5: *SC 3, and increase in the next* all the way around (30). Round 6: *SC 4, and increase in the next* all the way around (36). Round 7: *SC 5, and increase in the next* all the way around (42). Then bind off. 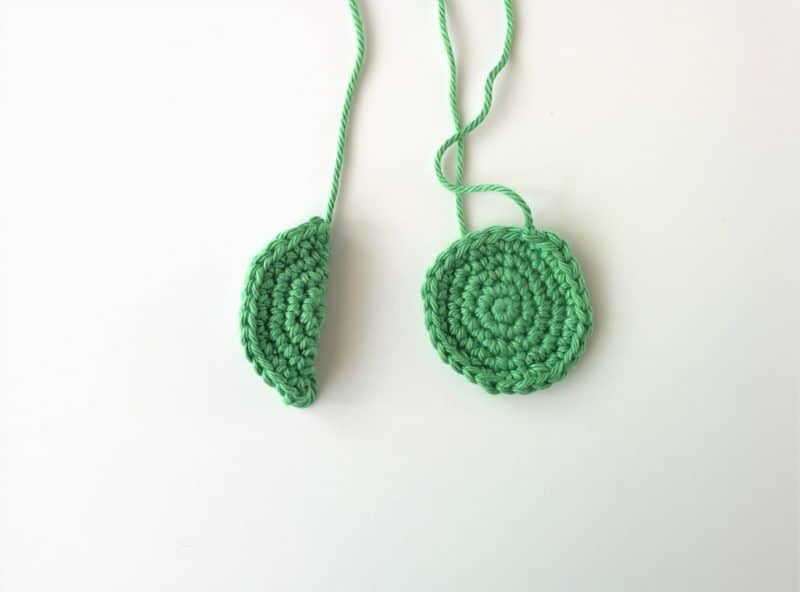 Round 1: With light green yarn and 3.50mm hook, work 6 SC into a magic loop and mark the first space with a stitch marker (6 stitches). Now, you can decide where to place the safety eyes. Just poke them through and see if you like the placement. Add some stuffing in BEFORE you secure the backs so you can see how it will move once the head is filled. If you’re happy with it, remove the stuffing and secure the backs. Round 5: *SC 2, and decrease over the next two* all the way around (18). Round 6: *SC 1, and decrease* all the way around (12).5. SC around for one round. Add a little bit of stuffing to the head now. Round 7-13: SC around for 7 rounds. Then bind off. Add a little bit more stuffing to the neck. 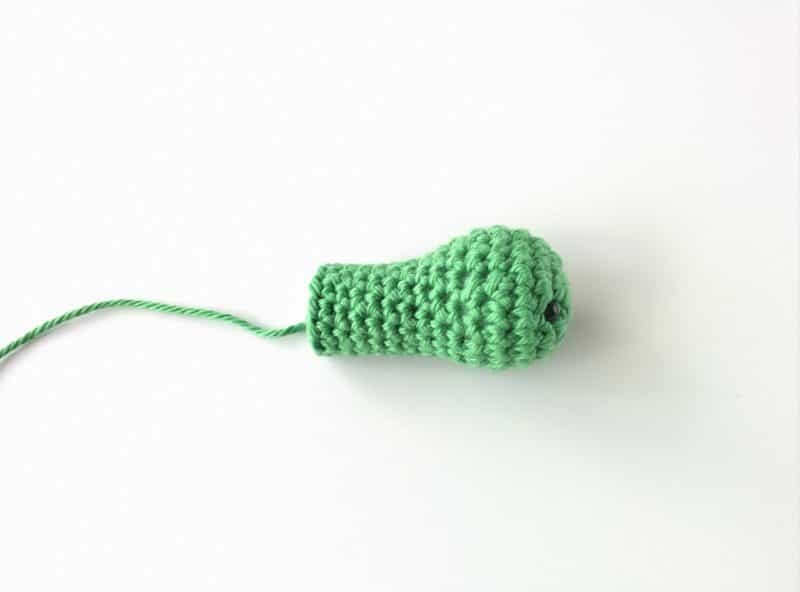 Round 1: Use light green yarn and a 3.50mm hook to make a magic loop and work 6 SC into it. Round 6: Fold the circle in half and sew it closed with the tail yarn. Round 5: Fold the circle in half and sew it closed with the tail yarn. 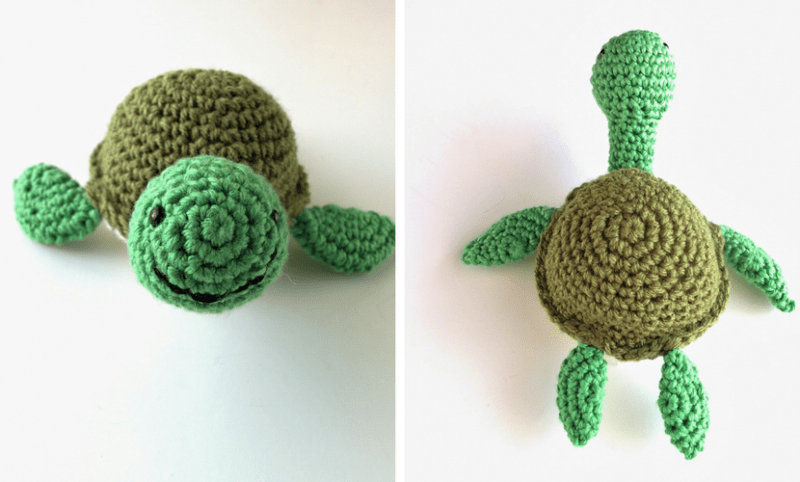 You’re all done with the parts of your crochet amigurumi turtle but now it’s time to put it all together. 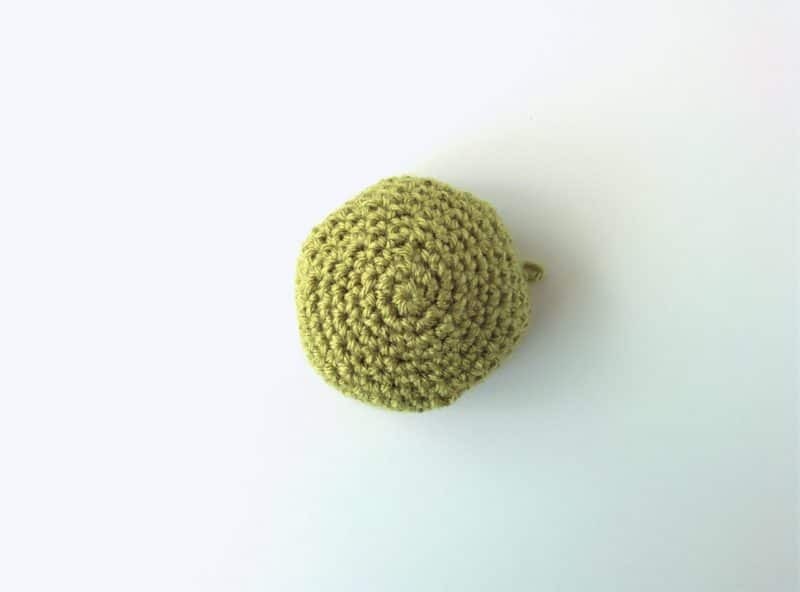 The easiest way I found to do this is to place the head at any point on the edge of the shell and use a tapestry needle and some green yarn to sew it into place. You just need a few stitches to hold it there. Then, place your flippers along the edge of the shell. You can use stitch markers to hold their place as you work. 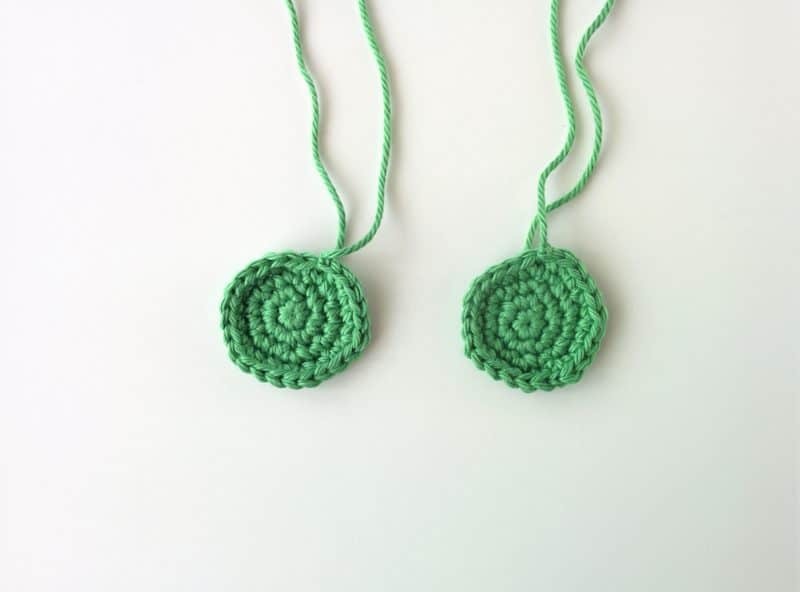 Use a tapestry needle and green yarn to sew them into place as well. Now, add the stuffing to the shell to round it out. 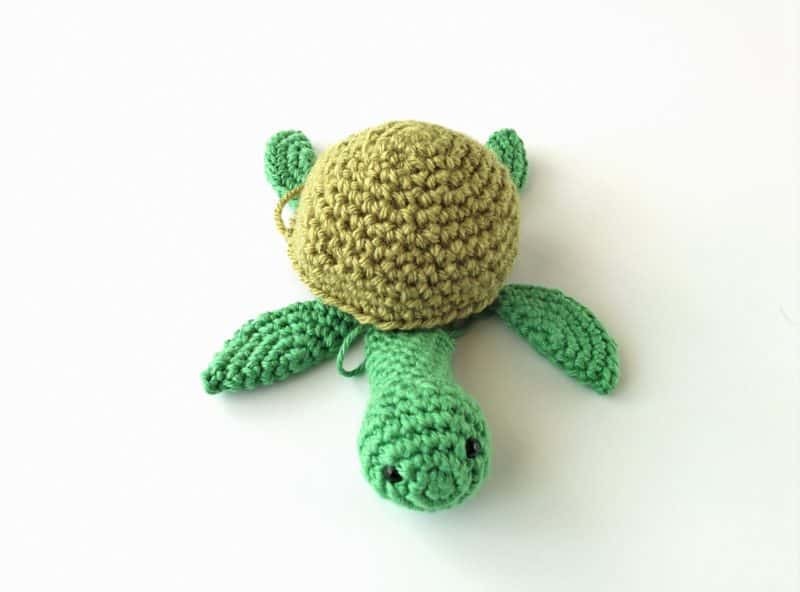 Place the belly over the shell, like a lid over the stuffing, and use green yarn and a 5.00mm crochet hook to slip stitch all the way around the crochet amigurumi turtle. This attaches the belly to the shell and creates that “lip” at the edge of the shell. Use black thread and embroider on a smile to finish. Finally, just weave in all the loose ends and trim the excess yarn. I really love how Shelby turned out and I think he’s just about the cutest thing ever. 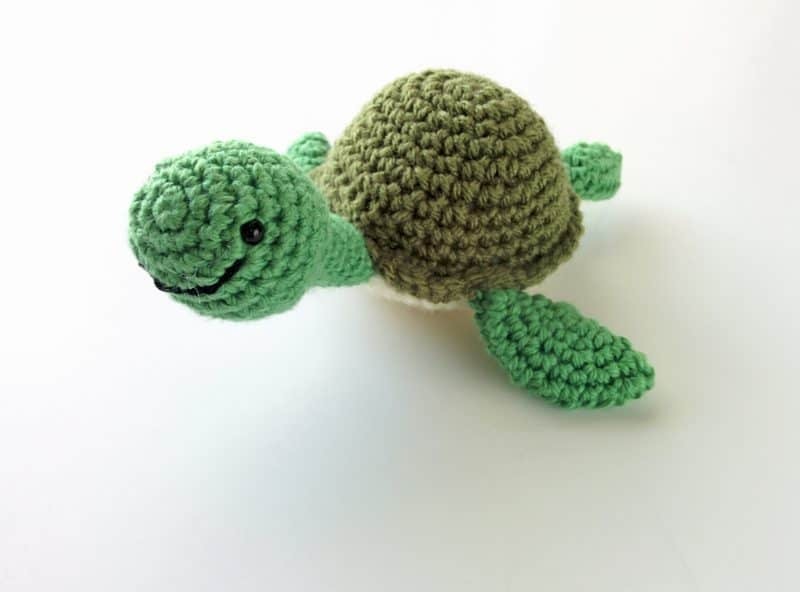 This crochet amigurumi turtle works up pretty quickly. I make him in about an hour before my nephew came over that day. He loved it and he’s been running around with it ever since. I think he renamed him though, ha! If you liked this, please join the email list! 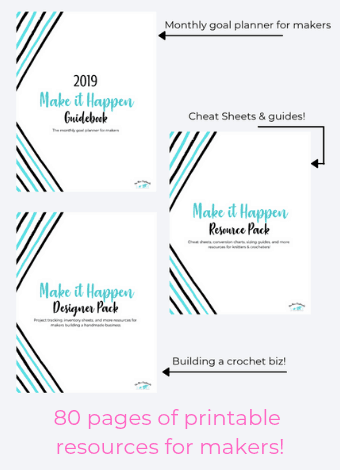 Just fill out the box below and you’ll be signed up for new patterns, tips, freebies and more delivered right to your inbox. You’ll also get exclusive access to the resource library full of goodies. I’d love to make more little animals so give me your suggestions in the comments below. I’ve already made an elephant. It’s the namesake of this blog and you can get that pattern here. You can also get a PDF of this pattern in my Etsy shop. Thanks for reading! That is adorable! 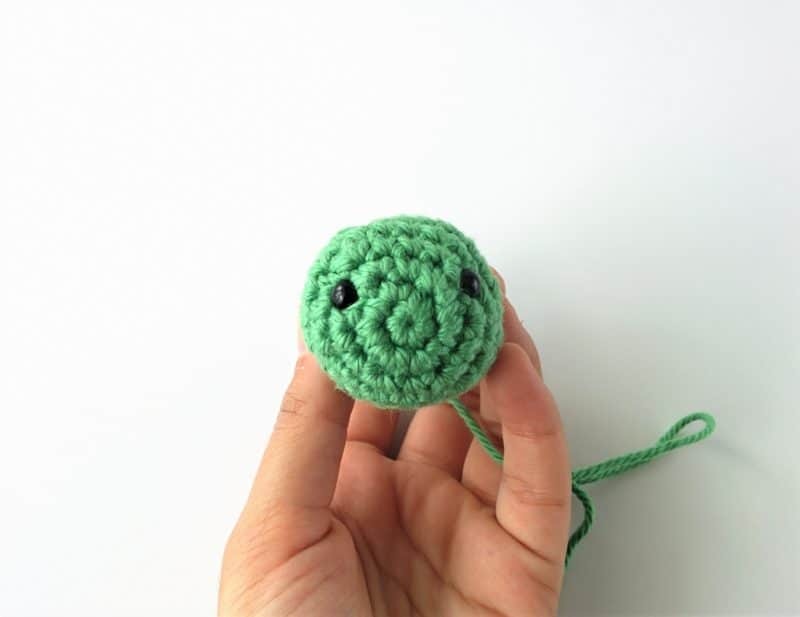 I so wish I could learn to crochet. I can make a single line and then never go back. 🙁 I need a lesson. Thank you! And you totally can learn. 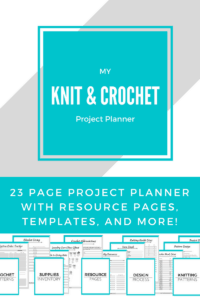 If you’re subscribed, get The Beginner’s Guide to Crochet and you’ll have everything you need to learn. Get it soon though, because it’s only free for a limited time longer!